Instead, I opted to start off with these lightened up Irish Whiskey Blondies. I based these blondies over some that I made a good while back now. 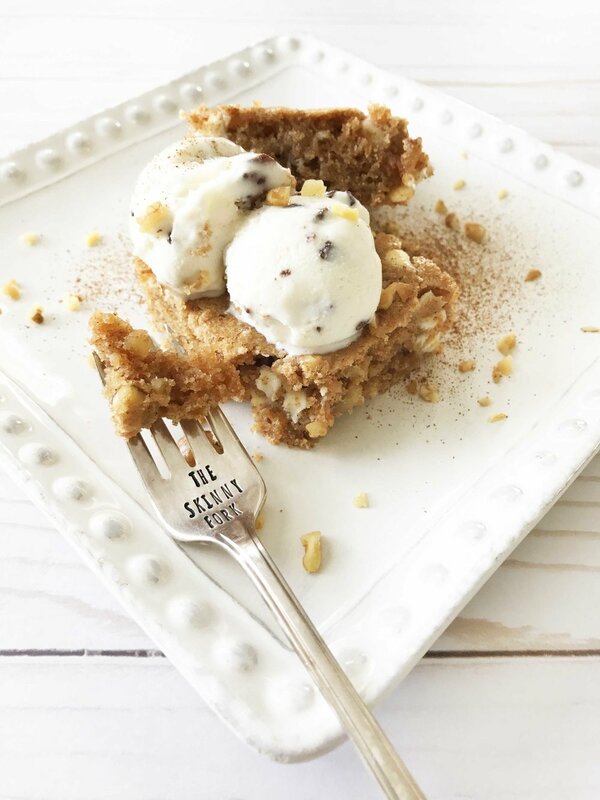 And yes, there is actually whiskey baked right into these blondies. Enough to give the flavor and just a little kick. I lightened these blondies up with swapping out some of the sugars for natural sweetener blends, a lightened butter, and of course reduced fat milk. In the end, you get a delicious treat that’s perfectly festive right now - with less guilt! 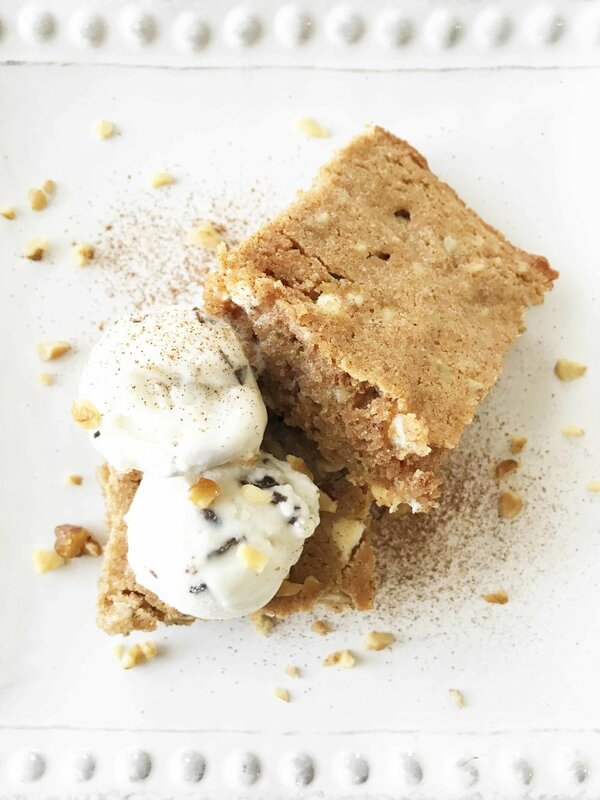 I think what I liked the most about these blondies is that the tops came out with a more crisp sort of ‘crust’ while the insides perfectly warm and fluffy. Top your blondies however you choose! Ice cream and some extra chopped walnuts was what struck my fancy today. 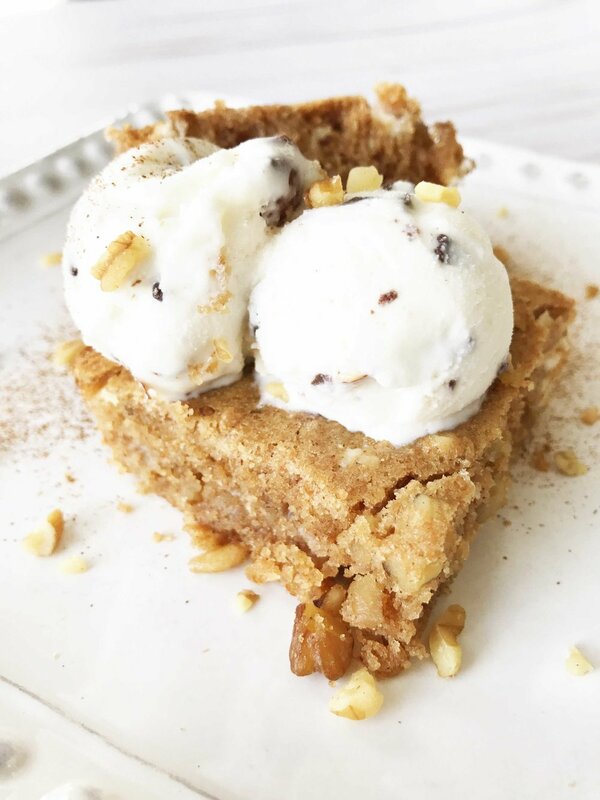 Lightened up blondies with an Irish whiskey kick! These blondies are perfect for a St. Patrick's day dessert or even just because they're delicious. Add in the egg and 1/4 C. milk and 1/4 C. whiskey and continue to blend. Slowly mix in the flour mixture into the milk mixture until it comes together. Fold in the 1/3 C. walnut pieces and 2/3 C. white chocolate chips.